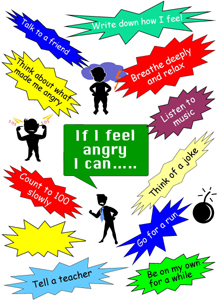 A unique set of six A3 size posters plus a full colour A3 blank poster, this set is designed to help pupils to recognise 6 negative emotional states and to suggest various means of overcoming them. Poster topics include: "If I feel... Angry; Worried; Stressed; Sad; Lonely."